Magnolia West is a new home neighborhood located in Green Cove Springs, just behind Magnolia Point Golf & County Club. Magnolia West will feature over 500 single family homes upon completion. The amenities center in Magnolia West has completed in 2009, prior to the first homes being constructed. This amenities center includes a clubhouse with fitness center, pavilion with summer kitchen, a water playground for kids, resort style swimming pool, tennis courts, basketball courts and playground. 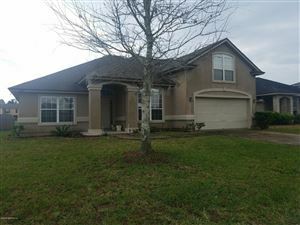 Residents in the Magnolia West community enjoy the highly rated Clay County School District, in addition to all that Jacksonville and Orange Park have to offer just a short drive away. The neighborhood was started out with new homes being built by Collins Builders and Seda Construction, but is currently being built by Dr. Horton. Dr. Horton is currently offering homes in their "express homes" series. This new series of homes is offering potential buyers very affordable homes with two car garages and upgrades included, many of which are move in ready and already built out. Residents in Magnolia West are currently enjoying no CDD Fees from Dr. Horton. You can view all builder floorplans and homes for sale in Magnolia West below. Also visit other new home neighborhoods in the area Two Creeks and Rolling Hills at Lake Asbury. Contact us today for your private tour of Magnolia West, and don't forget about our 1% Cash Back Rebate on ANY new construction home.